We have a great selection of cheap Showstopper! 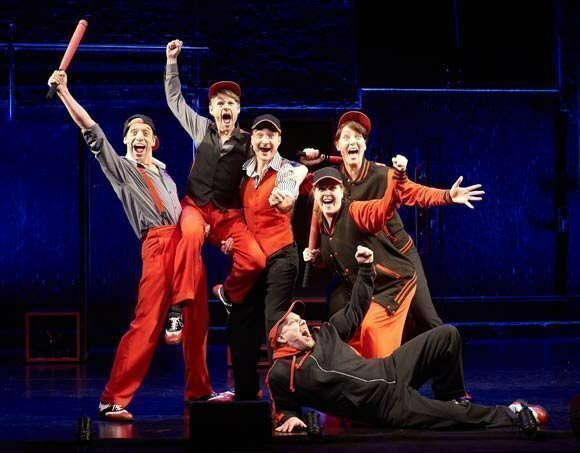 The Improvised Musical tickets. We can help you save up to 70% on Showstopper! 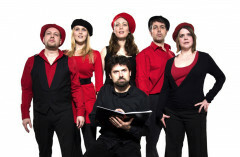 The Improvised Musical tickets! 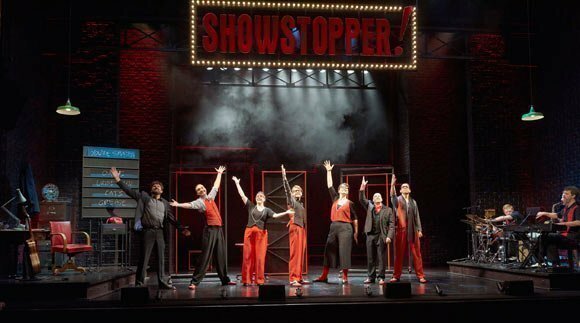 If you're looking for discount theatre tickets have a look below for our latest offers for Showstopper! 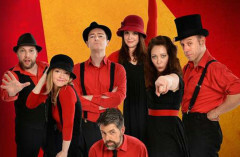 The Improvised Musical at the Lyric Theatre. Valid 13 Apr - 15 Jul 2019. Book by 15 Apr. . This show was amazing! 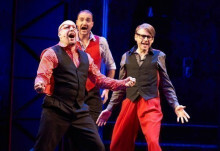 If you are into musical theatre you will love it! The actors’ and musicians’ improvisation skills are so impressive! Just wow! I have seen Showstoppers 3 times now and think this was the best one. My sister visiting from Australia was blown away and it took her a while to get her head around what she was seeing. Mostly suitable for British audience or those who have lived in the UK for a long while. You need to be able to understand the local sense of humour. Great fun, laughed so much! One of the best musicals ever seen . The acting was superb , fast paced , excellent muscians nothing to dislike at all thoroughly recommend . What a brilliant production, and such a great idea. The actors were fantastic, I don't know how they do such a brilliant job of improv, but it was laugh out loud funny, and fantastic. I could go again, and again! Funny for beginning to end. interactive with the audience. Brilliant actor's throughout the show. To make a musical from audience suggestions.Brilliant. A really good fun evening - very clever!! An amazing show, the crew were spectacular making a musical from the list of songs chosen and following the story line that was selected by the audience. The performers were brilliant. It was fantastic and I would recommend that people go and see this. A Wonderful Funny Musical Evening Out. Made all the more fun by the audience participation in suggesting topics for the show, styles of music and ideas for how the show runs. Go armed with wacky topics! 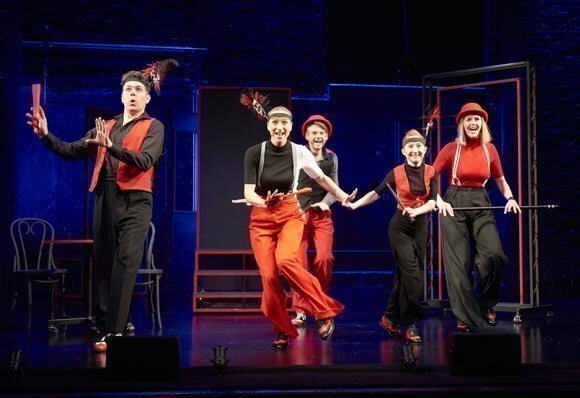 Congratulations to the cast and musicians for their amazing talent to be able to turn the weird things thrown at them into a funny, witty enjoyable musical evening out. Fast moving, so fast that innuendo passed over the heads of children in the audience.I went with my teenage daughter and we both roared with laughter. Brilliant pure entertainment. Amazing performance it made us laugh from start to finish. Not knowing what to expect was half the excitement as passionate theatre goers. Well worth a visit . I wasn't expecting this to be a fully improvised performance. The penny finally dropped when the 'producer' started asking the audience for suggested plots, scenes and musical scores. Initially I thought audience members had been planted but that thought quickly faded once 3/4 of the audience (myself included) got involved with suggestions either verbally or through social media. 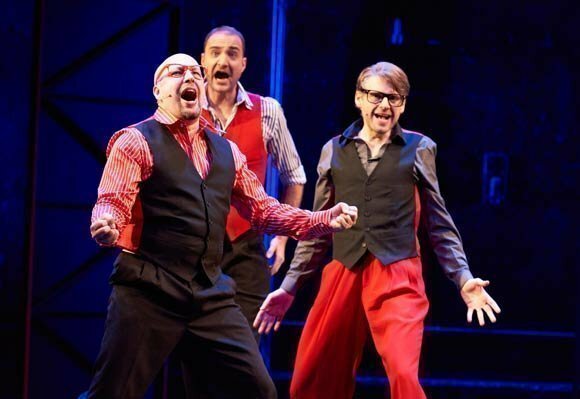 I was truly impressed with the actor's ability to take on suggestive prompts and work them into the storyline, let alone sing (this is a musical after all). Our particular play focused on corruption at FIFA with the added addition of a group of conspiracy theorists! Random, I know. The best thing about this show is that no two performances will ever be the same so you can see the play as many times as you'd like and experience something different on every occasion. It all depends on the audience and their suggestions. A great show! Was very impressed by the whole performance. 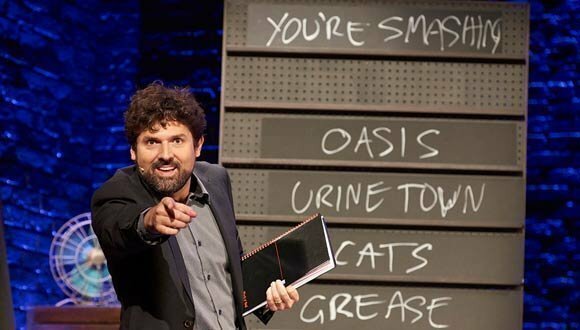 It was a great show, all made up from suggestions from the audience, much like Who's Line is it anyway (the TV show), but in the format of a 2 hour musical. It was great and I'd do it again anytime! fantastic, creative, brilliant, funny! I cam Saturday night and during the show decided to return on Sunday. Great cast, great singing and dancing, Great Fun!!! Not sure what to expect or how it would work but it did work - go yourself and your ideas could be a part of it! An exceptionally talented and versatile group of improvisers who provided us with the perfect round off to a day out in London! Just great fun and very clever, we are in awe! 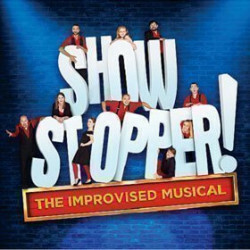 On this site, a year or so ago I got very effusive about SHOWSTOPPERS, the group who improvised a different full length new musical at every single performance based on suggestions of subject, style and content from the audience. Take a chance on Showstopper! 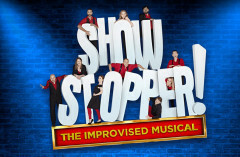 We have some great offers at the moment to see Showstopper!, the West End's "improvised musical" show. I know the producers were very nervous about launching it and the challenges of both getting people to understand what the show entails and enticing them to book. So if you're one of those people that's hesitated over whether it's for you or not I'd like to try and answer any concerns you may have because you're missing a treat. Arriving for an extended run in London off the back of another hugely successful Edinburgh Festival stint, Showstopper! 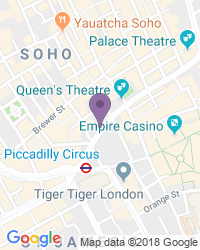 is a very welcome addition to the more familiar musical offerings on Shaftesbury Avenue. 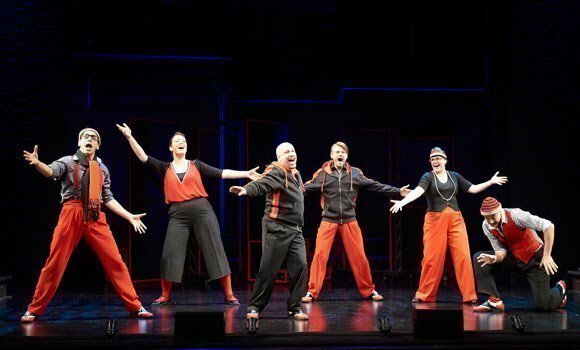 The premise is delightfully simple: the cast and onstage band create a brand new musical from scratch every night. With suggestions fielded from a very enthusiastic audience, the cast are given a setting, combined with some existing show titles as reference points, and they’re off. 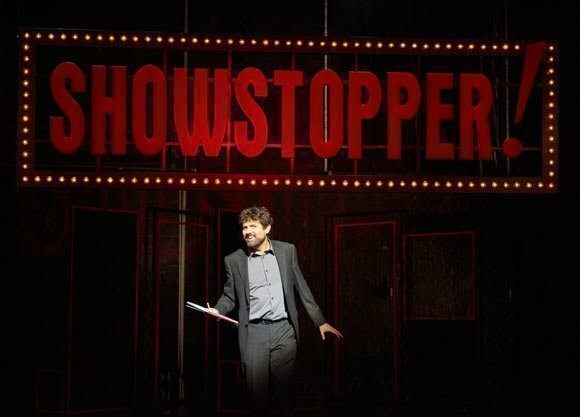 Use the search box at the top left of this page to search for Showstopper! The Improvised Musical tickets availability.